Usually I try to be a pragmatic, commonsense, look-for-good-value kind of guy. However, once in a while, I can get a bit extravagant. One of the things that I once splurged on was a softball glove. 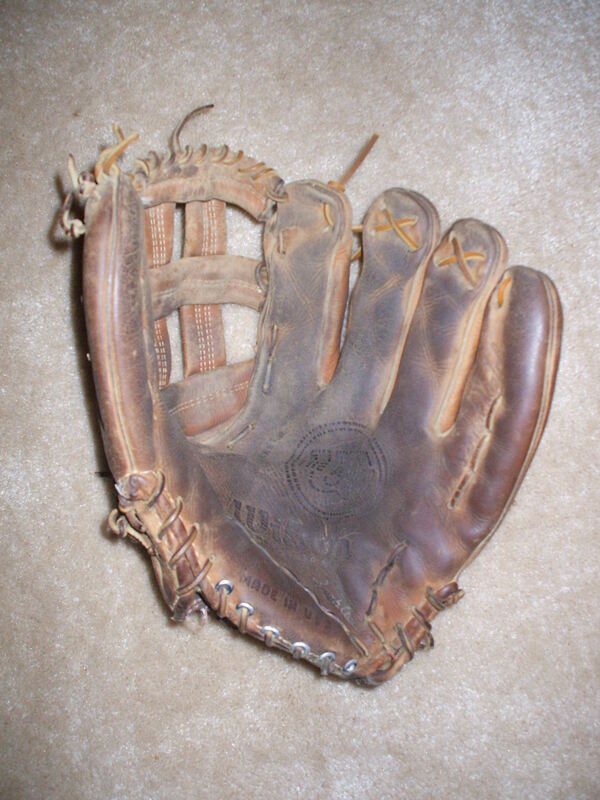 Let me make this clear, this was not just any softball glove, this was a Wilson A2000 softball glove (decades before Harry Potter had his Nimbus 2000). The A2000 is still made by Wilson and is used by many Major League players today. I bought the glove sometime in the spring of 1981 and, if I recall correctly, I paid in the neighborhood of $80 for it. (How I came to have $80 available to “invest” in a softball glove is another story for another day). A quick search on the internet, revealed that today’s A2000 model goes for about $240. It is safe to say that I would not pay $240 for a glove today. I imagine that we all have something that we just “had to have” and once we obtained it, it quickly lost our favor and was cast into a garage or basement to gather dust and be forgotten. I am happy to say that has not been the case with this glove. From the moment that I first put it on my hand, it just felt right. It was “game ready” when I walked out of the store. Today, it is not nearly as soft and supple as it was in 1981, but then neither am I. Over the years I have tried to take care of it, I have “dressed” it numerous times and made several attempts to rework the lacing in the webbing and the fingers. Just last week I re-laced the fingers in an effort to tighten it up a bit. It has been used every year for the last 34 softball seasons and I certainly hope to have the opportunity to use it again this year. and perhaps the most appropriate, Psalm 19:12 Who can understand his errors? This entry was posted in Humor and tagged baseball glove, Wilson A2000 on May 5, 2015 by Leonard.